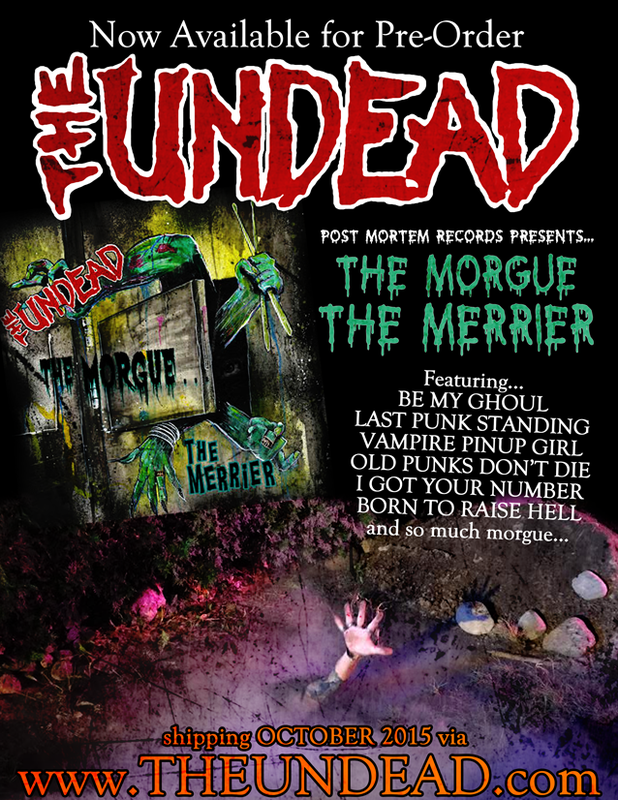 Out of the grave and into your stereo, Post Mortem Records presents “THE MORGUE THE MERRIER”, an all new record by seminal horror punk band THE UNDEAD. Bobby, Diana, Paul & Boris have been hard at work bringing to life a myriad of songs including BE MY GHOUL, LAST PUNK STANDING, VAMPIRE PINUP GIRL, OLD PUNKS DON'T DIE, I GOT YOUR NUMBER and so much morgue. 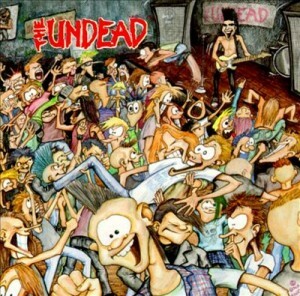 It's fourteen tracks in all, plus a full gate fold with photos and the lyrics so you can sing along. 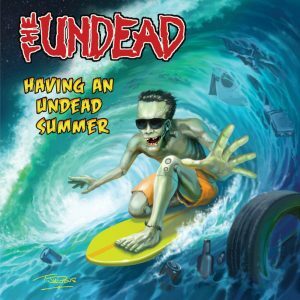 Pre-Order The Undead's long awaited new album “THE MORGUE THE MERRIER” now and receive FREE SHIPPING (in the US, reduced shipping internationally), an immediately downloadable version of the Morgue The Merrier's first single BE MY GHOUL, plus the original demo version of WHEN THE EVENING COMES and a free sticker! THE MORGUE THE MERRIER ships OCTOBER 2015.
INTERNATIONAL CUSTOMERS: If you're ordering a bundle of stuff and the shipping price becomes astronomical, just shoot us a message via the “CONTACT” button above and we'll sort it out for you. If you don't think you received a link to the digital download of BE MY GHOUL / WHEN THE EVENING COMES, check your junk mail folder before contacting us. 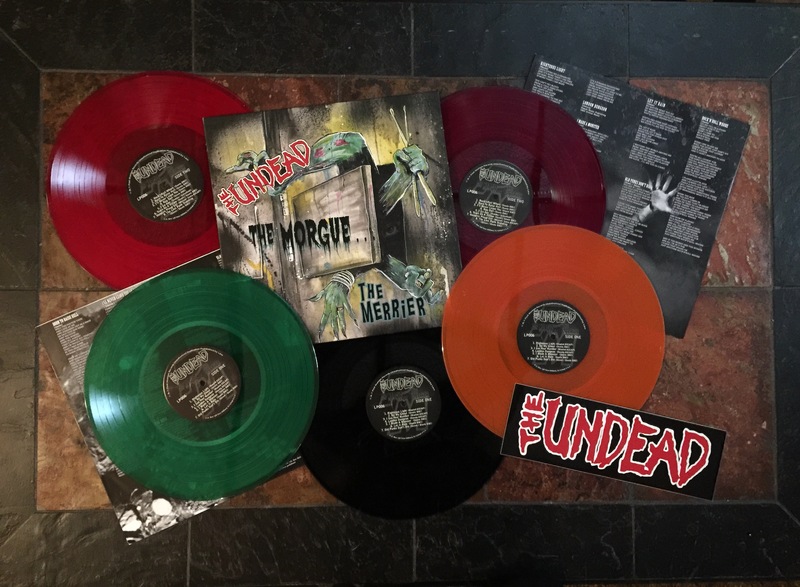 Out of the grave and into your stereo, Post Mortem Records presents “THE MORGUE THE MERRIER”, an all new record by seminal horror punk band THE UNDEAD. Bobby, Diana, Paul & Boris have been hard at work bringing to life a myriad of songs including BE MY GHOUL, LAST PUNK STANDING, VAMPIRE PINUP GIRL, OLD PUNKS DON’T DIE, I GOT YOUR NUMBER and so much morgue. It’s fourteen tracks in all, plus a full gate fold with photos and the lyrics so you can sing along.